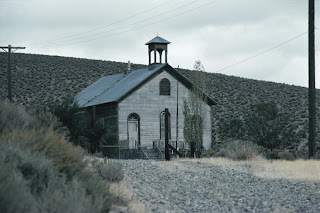 If you read some of the books about old mining towns you might think they all were rough and lawless places that had lots of saloons and gunfights but few churches or schools. In fact, by the early 1860s Virginia City had grown into a fairly civilized community. In his book, “The Roar and the Silence, A History of Virginia City and the Comstock Lode,” James cites an 1865 report of the State Superintendent of Public Schools that indicates Storey County had no less than a dozen schools, including seven in Virginia City. Additionally, Virginia City’s citizen’s built marvelous houses of worship. James says that the community’s first congregation was a Methodist group that formed in the late 1850s. In 1861, the Methodists built Virginia City’s first church, a fine wooden, steepled structure located about a block west of the present-day St. Mary in the Mountains Catholic Church (corner of Taylor and E Streets). The Methodist congregation declined in the early 20th century and the church no longer exists. Other congregations, however, have had more longevity. The Roman Catholic Church sent its first priest to Virginia City in 1860. While the first Catholic Church building, made of wood, was destroyed by heavy winds, a sturdier structure was soon built, which was named St. Mary in the Mountains. In the 1870s, the Catholic congregation numbered between 3,000 and 5,000 and was the largest religious group on the Comstock. There is even a legend surrounding the church that involves the Great Fire of 1875. According to the story, as the fire raced through Virginia City (it eventually destroyed more than 75 percent of the town), many of the Catholic parishioners fought to save the church by pouring water over it. Mine owner John Mackay, a Catholic, however, was more concerned about the fire reaching his mine and spreading into the underground shafts. He allegedly told Father Patrick Manogue, leader of the church, that if the priest would permit the parishioners to save the mines, he would help rebuild the church. Whatever the truth, the fire did destroy the church, which was rebuilt between 1875 and 1877. The replacement church—still standing—was an impressive two-story, Gothic Revival brick structure with rosewood balconies and stained glass windows. Another of Virginia City’s churches is St. Paul’s Episcopal Church, located one block northeast of St. Mary in the Mountains on the corner of F and Taylor Streets. Erected in 1876—an earlier church, erected in 1862, burned in the 1875 fire—St. Paul’s is entirely constructed of native pine. St. Paul’s has arched ceiling beams and walls that are actually held together with wooden pegs. 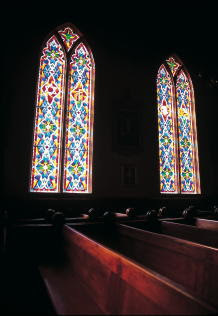 The original pews and wood-paneled walls are also nearly intact. Virginia City’s third historic church is the Presbyterian Church on C Street, near the Firehouse. The Presbyterian Church, built in 1867, is the oldest in Virginia City and the only original church not to have burned during the 1875 fire. The church was financed from money raised by selling mining stocks that had been donated to the congregation. Additionally, the church operated two stores, on either side of the building, which provided money for church activities. The Presbyterian congregation peaked in the 1860s, with about 750 members. In the 1930s, the building had been converted into the Union Sunday School and then was closed due to its bad condition in 1947. It has since been restored and is again used for religious services. If you get a chance to tour the church, be sure to check out the old organ; it still bears the burn marks from the great fire of 1875. All three of Virginia City’s churches are open to the public during selected times (or during Sunday services). For more information, call the Virginia City Chamber of Commerce, 775-847-0311. If you’re looking to get away from it all, there aren’t too many places more remote than the historic town of Unionville, home of the Old Pioneer Garden Country Inn. The Old Pioneer is a rustic two-story stone inn located in a former wagon maker’s home that was originally built in the mid-19th century when Unionville was a thriving mining camp. The Old Pioneer Garden Country Inn, which also includes a separate, renovated guesthouse, is owned by Lew and Mitzi Jones, who relocated to Unionville from Monterey, California in 1972. During the past three decades, the two have transformed the ruins of two historic homes into a quaint bed and breakfast complex that is one of rural Nevada’s best-kept secrets. The main inn, known as the Hadley House, has six modern rooms, one with a private bath. The smaller Ross House, located at the entrance to town, offers two rooms. All of the inn’s facilities are comfortable and private—recent visitors have included Hollywood celebrities—and the Jones’ prepare some wonderful meals using fruits from their orchard and vegetables from their garden. Rates range from $75-95 per night. For reservations, call 775-538-7585 or write Old Pioneer Garden, 2805 Unionville Rd., Unionville, NV 89418. The town of Unionville was founded in the spring of 1861 as a mining camp named Dixie (most of the original miners were Southern). Within a short time, however, more people had arrived in the booming camp, including many that identified with the northern side in the Civil War (raging at the time). Soon, the town’s name was changed to Unionville to reflect the majority’s politics. Among the earliest arrivals in Unionville was a young Mark Twain, who later wrote about his experiences as a would-be prospector in the town. Twain noted that he discovered a shiny piece of rock that he knew just had to be gold. His “delirious revel” quickly turned to embarrassment when a more experienced prospector revealed that his discovery was only granite and glittery mica. Despite the travails, Unionville managed to grow during 1862-63. During that time, it had nearly 1,000 residents and numerous businesses including ten stores, six hotels, nine saloons, a brewery and a newspaper. 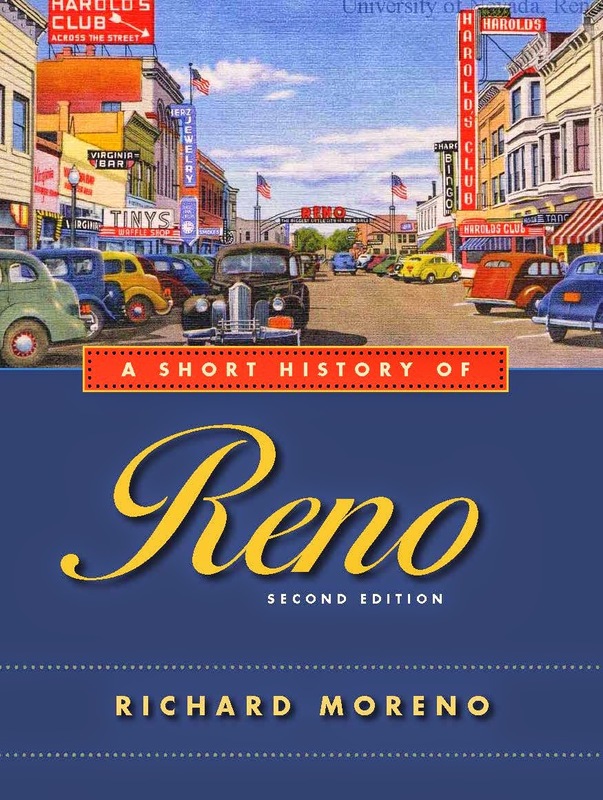 The town experienced brief spurts of mining activity during the next decade before losing the county seat to Winnemucca in 1873. By 1880, the good years were behind Unionville, which slowly slipped into obscurity. Fortunately, Unionville never completely disappeared. After mining ceased, the local economy shifted to ranching and agriculture and, in recent years, tourism. The ruins of old Unionville can be found sprinkled throughout beautiful Buena Vista Canyon. Stone foundations and walls, a few intact wooden houses, tall cottonwoods, old barns and the picturesque old Unionville school (not open to the public) are among the historic survivors. A small creek, which runs down the canyon and through the town, enhances the general sense of peacefulness found here. Unionville is located in Northern Nevada, about half way between Lovelock and Winnemucca. To reach the town, travel east of Lovelock on Interstate 80 to the Mill City exit. Head south on State Route 400 for 17 miles, then drive west for three miles on a good dirt road. The purpose of the colony was to educate the native Paiutes about Christianity and to establish a halfway station between Utah and Southern California’s port cities. Las Vegas (which is Spanish for “the meadows,” was selected as the site because it was located on the Old Spanish Trail, had plenty of water from natural springs and abundant meadow grasses. In addition to planting squash, melons, corn and other crops, colonists soon constructed an adobe fort. Each side of the enclosure, built adjacent to the Las Vegas Creek, was about 150 feet with taller towers or bastions at the northwest and southeast corners. The Las Vegas Mission or, as it later became known, the Mormon Fort, managed to operate for about two years. In late 1855, a post office was established at the fort, which was named Bringhurst, after the mission’s leader, William Bringhurst. In late 1856, however, differences in philosophy between Bringhurst, and other colonists resulted in its being abandoned. On February 23, 1857, Brigham Young, president of the Church of Latter Day Saints (Mormon Church) officially terminated the mission. The adobe buildings of the old fort were acquired in 1865 by Octavius Decatur Gass, a miner from El Dorado Canyon (south of Las Vegas). Gass incorporated parts of the fort into a larger ranch house compound and eventually built a store and blacksmith shop to serve travelers passing through the area, which became known as the Los Vegas Rancho. Gass greatly expanded his land holdings in the Las Vegas Valley during the next few years but in doing so over-extended himself financially. In 1881, Archibald Stewart, who had loaned money to Gass, gained ownership of the property after Gass defaulted. Three years later, Stewart was killed in a dispute with neighbors and his wife, Helen, assumed control of the rancho. She developed it as a way station for travelers, providing them with food and shelter. In 1902, Mrs. Stewart sold the ranch to the San Pedro, Los Angeles, and Salt Lake Railroad (later part of the Union Pacific Railroad), which, in 1905, developed the property into the city of Las Vegas. Today, the site of the Old Mormon Fort, located a few blocks from the center of downtown Las Vegas, is an historic state park. Over the years, all but one of the original fort buildings has disappeared. That structure has been changed considerably; in 1929, it was leased and renovated by the Bureau of Reclamation for use as a lab during the construction of Hoover Dam. 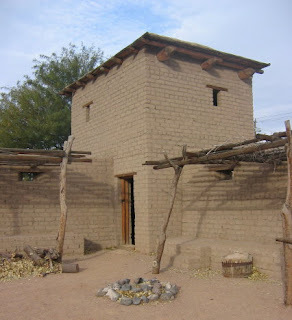 The rectangular adobe structure that still stands now houses a small museum featuring displays and exhibits detailing the fort’s history. Additionally, one of the rooms contains 19th century furnishings—not the originals—that show how the building was probably furnished near the turn of the 20th century. Additionally, the park contains reconstructions of the fort’s north and south walls, one of the bastions, the corrals, and a replica of the Pioneer Garden, complete with various crops like those planted 150 years ago. A segment of the Las Vegas Creek, which once flowed naturally through the property, has been re-created adjacent to the adobe building. The original spring that fed the creek was diverted in the early 20th century and the creek largely dried up. In recent years, the state parks have also added a fine new visitor center. Inside, you can find a small gift shop as well as displays describing the natural history of Southern Nevada. Rangers also offer guided walking tours on request. The site is also occasionally excavated by archaeology groups attempting to study the foundations of the original fort structures and later ranch buildings to get clues about living conditions, etc. The Old Las Vegas Mormon Fort State Historic Park is located at 500 East Washington Avenue in Las Vegas, adjacent to Cashman Field and across the street from the Sawyer State Office Building. The park is open Monday through Saturday from 8 a.m. to 4:30 p.m. There is a small admission charge of $3 for adults and $2 for children under 12. Under 6 free. For more information call 702-486-3511. Tucked away in the folds of the Spring Mountains is a little mining town—Goodsprings—that has managed to escape the rapid growth and vast changes that have occurred in the Southern Nevada region in recent years. Only eight miles north of the resort community of Jean, Goodsprings seems more a part of the early 20th century than of the 21st. The story of this half-forgotten hamlet can be traced to the late 1860s with the discovery of silver and lead in the area. A mining district named Yellow Pine was started but then abandoned after a few less-than-productive years. In the 1880s, cattleman Joe Good watered his herd at a spring in the area (hence the town’s name). By the 1890s, a number of gold strikes around Goodsprings had attracted several hundred miners. In 1901, the Yellow Pine Mining Company was formed, which consolidated ownership of most of the regional mines. In 1905, the San Pedro, Los Angeles & Salt Lake Railroad built a line through nearby Jean. To serve Goodsprings’ mines, a narrow gauge railroad was built to Jean and operated between 1911 and 1930. Mining thrived for the next eight years. During that time, the town grew to 800 residents and had a post office, school, hospital, churches, saloons, a newspaper (the Goodsprings Gazette) and several stores. In 1917, the impressive two-story, 20-room Fayle hotel was built. But the boom was soon over. Mining production had slumped by 1920 and the mines were closed. The district experienced several brief revivals over the next decades but none proved lasting. During the 20th century, however, Goodsprings’ mines produced more than $30 million in ore, making it the most lucrative mining district in Southern Nevada. Among the more well-known people linked to Goodsprings is former California Governor Goodwin Knight, whose father was president of the Yellow Pine Mining Company in the late 1920s. Today, Goodsprings remains an interesting reminder of the region’s past. Wandering its dusty, unpaved streets, you can still imagine what Southern Nevada was like before theme parks, glitzy hotels and traffic jams replaced the sand and sage-covered valleys. The Pioneer Saloon, built in 1913, is the unofficial focus of the community. This historic tavern is constructed of elaborate stamped metal, which the owners claim is the oldest and largest building of its type in the country. The metal has been pressed to resemble bricks. Inside, the Cherry wood bar and backbar have been there since the place opened but are actually older, having been built in the 1860s. They were built in Brunswick, Maine and shipped around South America to San Francisco before ending up in Goodsprings. An old pot-belly stove in the saloon, which is still used, is said to date to the Civil War. Additionally, atop the stove is a melted chunk of aluminum recovered from the site of a tragic airplane crash that claimed the lives of actress Carole Lombard, her mother and dozens of others in January, 1942. A collection of old newspapers in the backroom tell the tale of the crash, which occurred when the plane slammed into nearby Double Deal Mountain. Lombard’s husband, actor Clark Gable, reportedly sat in the bar for days awaiting word from search crews, then later drowned his sorrow there. A few other structures have survived the harsh desert years in Goodsprings. For example, adjacent to the Pioneer is another, smaller stamped metal structure that now serves as a general store. Across the highway are a small collection of aged, dilapidated wood, stone and metal shacks. The field around the buildings is littered with rusted metal scraps, an abandoned car and other garbage. The hillside above is covered with old tailing piles and foundations of former mills and mining processing facilities. The large concrete foundations directly across from the Pioneer Saloon are the remains of a general merchantile store. West of the saloon is the site of the Fayle (later called the Goodsprings) Hotel, which burned in 1966. The quaint, stucco Goodsprings School, still used, dates to 1913. Newer dwellings, including trailers and a few homes can be found interspersed between older wooden barns and houses. Goodsprings is located 34 miles southwest of Las Vegas via I-15 to Jean and Nevada State Route 161.